University textbooks that highlight the principles and practices of contemporary diplomacy are probably less dominant in the American publishing world today than “high” international relations theory or case-studies of global or regional conflict. But this co-edited volume deserves serious reading beyond the presumed target audience of American undergraduates. Although both editors are Australian nationals, they can claim acquaintance with the North American scene. 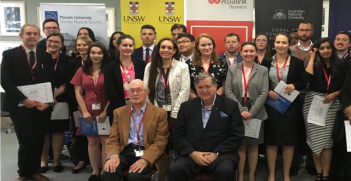 Geoffrey Wiseman served a lengthy professoriate at a major American university following several years in the Australian foreign service, including as private secretary to then Minister for Foreign Affairs Gareth Evans. The five-year gap between the two editions of this comprehensive survey has enabled the editors to signal several major shifts in diplomatic practice. But unfortunately, they went to press too early to capture much of the impact of Donald Trump’s stormy occupancy of the White House and serious disruptions to diplomatic communication in Europe, East Asia and the Middle East. Notwithstanding these lacunae, the editors managed to retain fairly effective editorial control over their diverse team of chapter authors, thereby ensuring a much tidier set of presentations than is customary in edited text-books. One small qualification would be Bertrand Badie’s chapter on “transnationalizing diplomacy”, which un-apologetically carries a quite heavy sociological vocabulary. The new edition did not necessitate any major reorganisation of chapter design or replacement of authors. Moreover, notwithstanding the likelihood that that this text was intended primarily for an American undergraduate market, its focus is not nearly as US-centric as one might have expected. Of the 23 chapter authors, only five are US-based. Most of the remainder were recruited from European, Asian, Canadian and Australian universities or institutes. Even the chapters on Chinese diplomacy fit comfortably within the book’s overall design and central themes. Not surprisingly, the editors were at pains to emphasise the complexity of current-day diplomacy. But they would not have predicted the rapidity of change within the past two years. The unprecedented disruption of conventional diplomatic organisation and method have rendered it ever more difficult to identify “normal” diplomatic practice. 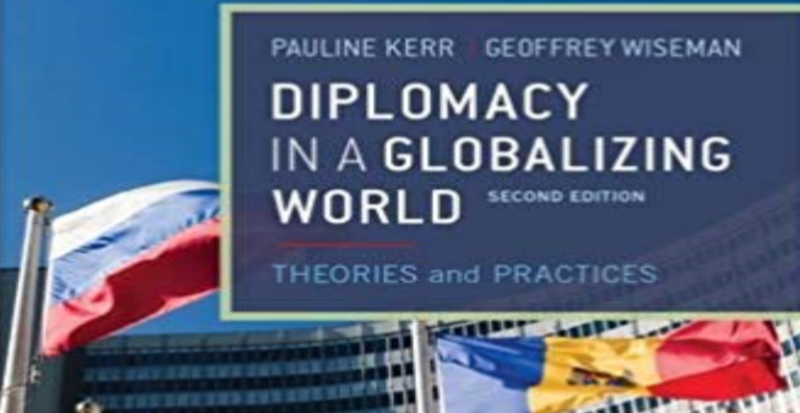 In emphasising the increased complexity of diplomacy, Pauline Kerr and Wiseman argue convincingly that it is characterised by three interlinked qualities: hyper-connectivity, adaptivity and diversity. Among the most serious trends and challenges, they identify disputed interpretations of national sovereignty, especially applicable to Brexit negotiations; the embarrassing face of populism, most notably in the United States; and the shifting fortunes of regionalism, such as ASEAN’s challenges. Identifying challenges is not the same thing as assessing performance, and it may be that one or two authors have appeared too sanguine about the achievements of regional institutional diplomacy. Josef Batura, for example, is cautiously optimistic about the significance of ASEAN diplomacy, based as it is on “respect for sovereignty, a non-confrontational and low-key style that is different from western diplomacy, which is more comfortable with sanctions, threats and warnings.” A retired senior Australian diplomat currently based in Singapore’s Institute of Southeast Asian Studies, Malcolm Cook, recently warned against crediting ASEAN with more influence than it deserves, advice with which this reviewer concurs. Alan Henrikson’s survey of American diplomacy is focused primarily on the Obama presidency, and only his closing paragraph draws attention to the Trump ascendancy, predicting “a retreat from the decades-long internationalist leadership role of his predecessors”. He did note however that Trump’s preference for “transactional diplomacy” had driven the leaders of allied countries (Britain, Germany, France, Canada, Australia and Israel) to undertake “reverse engagement”, seeking reassurance of their standing with the Washington leadership. Unfortunately, his essay has little to say about the circumstances and distinctive features of American diplomatic communication with Israel’s Netanyahu government in Washington’s futile attempts to re-open the Palestinian-Israeli peace process. 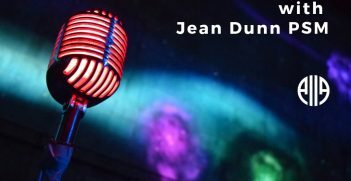 President Trump’s ignorance of or disdain for conventional methods of diplomatic communication – including his “America First” rhetoric, downgrading of the Department of State, reluctance to appoint ambassadors and, above all, his anti-globalisation policy choices – have called into question American moral leadership of the western world, and it is by no means clear that with Trump’s eventual departure there will be a full return to the “status quo ante”. Habits and expectations may have changed irrevocably. The impact of the Internet on contemporary diplomacy is boldly documented by Jovan Kurbalija, head of the Geneva Internet Platform, with threats to cyber security now consuming considerable government resources and brain power in many capitals. Social media platforms have become very influential in diplomatic reporting and information gathering, with Twitter becoming the current American president’s principal medium of daily communication. The status and potential of consular diplomacy is well covered in chapter nine of the Kerr-Wiseman text. 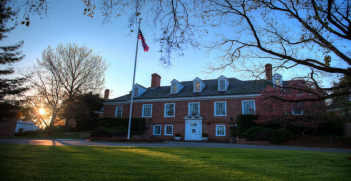 With the rapid expansion of popular travel and the relative incapacity of capital city based embassies to attend to all the traditional tasks of consular officials, consular representation is assuming a new importance. One small disappointment was the misquotation of Sir Henry Wotton’s witty definition of a diplomat. The early 17th century English envoy defined a diplomat as “an honest man sent to lie abroad for the good of his country,” not as “a man sent abroad to lie for his country.” Correct positioning of the adverb is critical. Despite disappointments about the limited coverage of very recent divergences from traditional diplomatic organisation and practice, the Kerr-Wiseman collaboration represents an herculean effort at collecting and interpreting a rich and relevant trove of diplomatic history and its theoretical underpinnings. Peter Boyce AO is an Adjunct Professor in the University of Tasmania’s Politics and International Relations Program. He is immediate past president of AIIA Tasmania Branch.